"As for the rich in this present age, charge them not to be haughty, nor to set their hopes on the uncertainty of riches, but on God." Money is a point of discouragement for many. • Student debt is skyrocketing. 3. Manage with wisdom (18a). Many of us wrestle with what appears to be a confusing message from the Bible regarding money. Money can be a blessing or a curse. Money meets needs and makes insecure. Prosperity and poverty are both good and bad. We are to work hard to provide and save, yet never trust in our diligence or prudence. 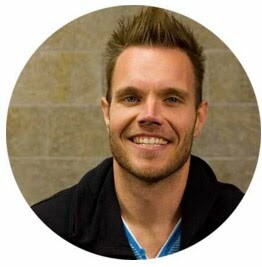 I want to try to be super simple and specifically address young people – high school, college, singles, young marrieds – who are establishing a lifelong direction regarding money. Paul is writing Timothy as he ministers to the believers in Ephesus. Ephesus was the Mediterranean Sea’s main commercial center. It was a city characterized by both sensuality and prosperity. "Lest, when you have eaten and are full and have built good houses and live in them…Then your heart be lifted up, and you forget the Lord your God, who brought you out of the land of Egypt, out of the house of slavery." "The Lord makes poor and makes rich; He brings low and he exalts." King David prayed before the assembly. "Both riches and honor come from you, and you rule over all. In your hand are power and might, and in your hand it is to make great and to give strength to all." "The earth is the Lord's and the fullness thereof, the world and those who dwell therein." "For who sees anything different in you? What do you have that you did not receive? If then you received it, why do you boast as if you did not receive it?" "When your eyes light on it, it is gone, for suddenly it sprouts wings, flying like an eagle toward heaven." Notice who Paul is calling us to hope in. You are living on borrowed authority. We are hoping in the One who has all authority, immortality (deathlessness). He needs no body guard. He has no term limits. We can’t look on Him without some kind of protection, or our eyeballs will melt like wax under the flame. "Because your steadfast love is better than life, my lips will praise you." 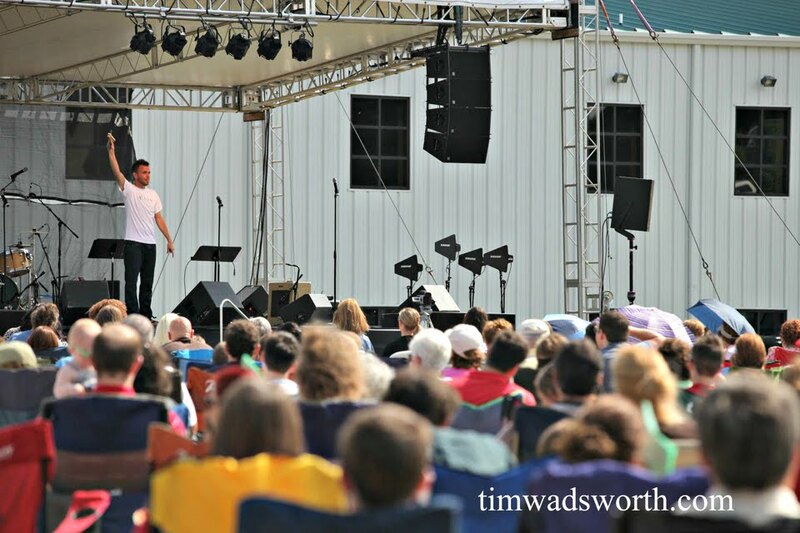 "You have put more joy in my heart than they have when their grain and wine abound." Now I’m going to go on a little diversion here because he does not state in this passage to manage with wisdom. It is implied here, stated elsewhere. Many Christians view doing good as primarily random acts of kindness. I am all for those. Secretly sticking some money in someone’s purse. Paying for someone’s Starbucks forward. But we can also do bad by doing good. If we are going to do good with the money entrusted to us, we must manage it with wisdom. "The ants are a people not strong, yet they provide their food in the summer." In all of these, there is an intentionality. In the Bible, debt is not forbidden, but it is not encouraged. It is often indicative of a problem. As in Deuteronomy 28:43-45, so with us. If our financial decisions are driven by debt and monthly payments, then we are a slave. We can talk all we want about doing good, but our doing good will be hindered or eliminated by our lack of wisdom and financial management. God gives generously not so we can be weighed down in this life but most prepared for the next. When we manage money wisely, we can give generously. I want to challenge you who are not living this way to begin today, right where you are. 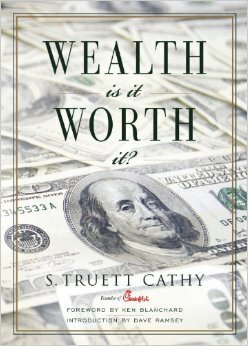 This past week I was really blessed as I read Truett Cathy’s book, Wealth: Is It Worth It? He is the founder of Chick-fil-A. “The whole world around us is a reminder to give. Why did God create trees? To give us shelter, fruit, timber, and oxygen. The ground, the stars, the moon, the cattle in the fields – all of them were created to give. Likewise, we were created to give. That’s why we experience so much joy when we give generously. After Cecil and Deen Day were married, they lived with their children in America’s first government housing, located in Atlanta. It was called Techwood Homes. Cecil was a student on the GI bill at Georgia Tech. He also worked a couple other jobs, including selling greeting cards door to door to try to supplement their income. They were dirt poor. But over time, Cecil and Deen became some of Atlanta’s most successful business people. In 1970, Cecil founded Days Inn of America. In eight years, they had 300 locations. The Days became multimillionaires. But at 44, Cecil died of cancer. Deen continued to run their company and a foundation they began. “Cecil and I were always content, regardless of where we were living. We were never possessed by our possessions. We knew that contentment is not found in things. We always set goals. “We always tithed and gave back to the Lord’s work 10% of our income. When we were living at Techwood Homes, we took an old box with a slit in the top and put our change in it. It was amazing that when we counted it out, we would have our tithe. The greatest enemy of real life is fake life. The greatest enemy of wealth is fake wealth. "From men by your hand, O Lord, from men of the world whose portion is in this life. You fill their womb with treasure; they are satisfied with children, and they leave their abundance to their infants." "There were false teachers who were teaching the Christians at Ephesus that godliness could be a means of financial gain."